On October 17, schools around the country celebrated Lights On Afterschool. This annual network of events is a way to bring awareness to the expanded learning opportunities that go on afterschool. True to form, Nebraska was one of the leading states when it came to outstanding celebrations. Chadron was a major highlight. Here’s how they turned the lights on. 75 Students rotated through four stations with their parents/guests. Each rotation was twenty minutes long. Participants made a circuit with an education specialist from Nebraska Public Power, found out about those crazy science experiments going on at CIA at Mrs. Grant’s Spangler Science station. Students and parents got the NASA experience in Mrs. Swinney’s Space Station. There was also a photo experience to remember Lights On Afterschool, and candles to make as keepsakes. Refreshments were served including three types of tortilla roll ups that the students made in three rotations the previous night. Students were telling their parents, “you have to try this one, we made that in my group last night”. 42 parents signed the Afterschool Alliance petition “WE RELY ON AFTERSCHOOL PROGRAMS – Don’t Divert or Deny Afterschool Funds!” See the school’s blog post for more photos. 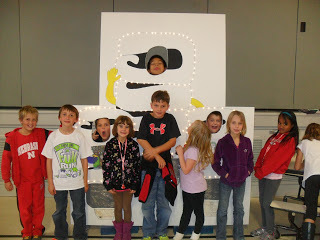 Read more about Chadron’s Lights On Afterschool activities.